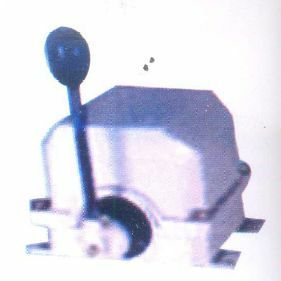 Master controller are used for remote operation of the equipment like E.OT. Cranes & rolling mills drives etc. the enclosure of the controller confirms to I.P. 54 degrees of protection, making it just proof. It hasup to 6 notches either side with maximum 24 contacts as per desired sequence. Controller are provided with spring & Dead man's handle arrangement. They are compact up to 4-0-4 step. 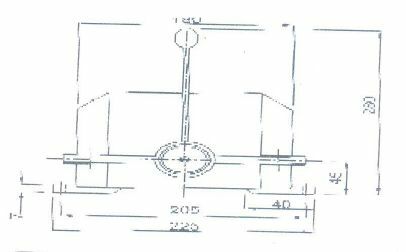 Suitable for Hoist-Grab, Cross Travel Long Travel up to 16 contacts per motion with spring return arrangement is provided. Long Life - Millions of operations are possible without significant wear to melamine cams and contacts which are rated for 40 amps, at 500 V.A.C. Simple Maintenance - Maintenance is simplified through the use of indivisual interchangeable contact blocks. 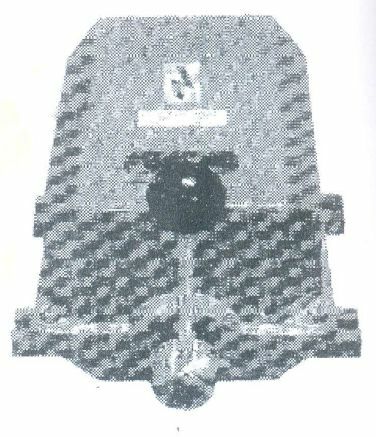 Contact tips can be easily inspected without removing the block or dicturbing connetions. When contacts are worm, only fixed and moving contacts can be replaced by removing only one screw. The remaining contact block and circuits are undisturbed. 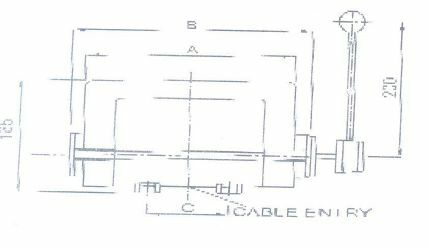 Wide electrical clearance - The design of contact block provides geneous electrical creepage and clearance preventing arcing between contact blocks or to ground. Heavy duty terminal screws are located for convinience and ease of wiring. Thermal Test Current - 500 V A.C.
Cable entries - 10 Amps.